It is time for the first major of the year, and most people’s favourite tournament of the season, The Masters. There is not an event that captures the imagination quite like this one, with Augusta National one of the most beautiful sporting venues of all time. There’s an even smaller field than usual this year, with just 87 players qualified for the year’s first major, but it will be more wide open than ever. There are a whole host of big names who have a huge chance of winning the Green Jacket this season, be it their first or fifth and it is definitely an exciting time to be a golf fan. Justin Thomas is currently hunting Dustin Johnson down in the fight for the World No.1 spot and as the most recent major champion in the field, Thomas will be hoping that he can make it two in a row, here at course he is playing for the third time. Also looking to return to the pinnacle of the world rankings are the old-guard, with Tiger Woods looking healthy and playing great golf again, whilst Phil Mickelson recently won the WGC Mexico Championship, his first win since the 2013 Open Championship. Elsewhere, Justin Rose is looking to go one better than he did both last year and in 2015, but on the flipside, Bubba Watson is looking for his third Green Jacket, after winning two events already this season. Hideki Matsuyama, Jon Rahm and Rickie Fowler will be looking for their first major win, whilst Sergio Garcia will be looking to defend his title, joining an exclusive list of golfers to do so. There are so many great storylines that can evolve at this event, you have only got to look at the last two years to prove that, and that is what makes this major so endearing. 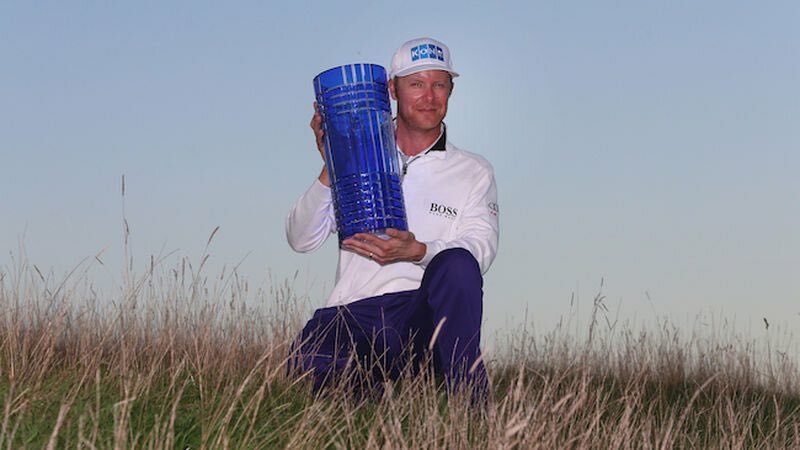 Last year we witnessed Garcia win a well overdue major, a year after a surprise victory by Englishman, Danny Willett warmed the hearts of golf fans around the world, and there is always the potential for similar scenarios each and every year. Last year as noted, Garcia won his first major, doing so at a course he had previously stated he could never win at. Rose pushed him all the way on the back-9, after capitalising on two mistakes from the Spaniard on holes 10 and 11, which gave him a two stroke lead. A miraculous par-save on 13 ultimately ended up being a springboard for better things to come for Garcia, as Rose’s birdie putt slid by. Garcia birdied 14 and eagled 15, whereas Rose could only birdie 15, meaning they were all tied once again. Rose than birdied 16 and Garcia made Par, despite both being within 8 feet with their tee shots, thus giving Rose the lead again – still with me? On 17, Rose bogeyed and Sergio birdied, meaning they were tied once again, going down 18. Both players missed their birdie putts on 18, Rose from 7 feet and Garcia from 5, leading to a play-off. Rose found trouble off the tee on the first play-off hole and had to chip out from the trees, only managing to hit his 3rd shot to 14 feet. This left him a must-make par putt, which he missed. Sergio had two putts for the championship, he only needed one however, sinking from 12 feet for the win, and a major championship his illustrious career deserved. Augusta National, despite being replicated to a degree by the Golf Club of Houston is a unique test. There is no substitute for experience here, with zero players winning on debut since Fuzzy Zoeller did it back in 1979. A player also hasn’t won the Masters after missing the cut the previous year since Tiger Woods won in 1997. Woods missed the cut in 1996 whilst still an amateur, but it was just his second appearance, and he was just 20 years of age, so no real surprises there. He won a year later by 12 strokes and the rest is history. So how do Masters winners do it? Well not only by having some experience on their side but by excelling in some vital areas statistically. Here are how the last five winners have ranked in Bogey Avoidance, Par-4 Performance and Par-5 Performance en-route to winning their Green Jacket. I’ll explain why these are the three areas I am looking at after. So why are these numbers important? Well of course at any event, on any course it is important to avoid bogeys, so why is that highlighted as a key stat this week? Firstly, it is clear that you have to be the best or thereabouts in avoiding bogeys on the week to win here, with four of the last five ranking 1st and Spieth ranking 3rd the year the course yielded tonnes of birdies. The reason this is such an important factor at Augusta is that you don’t have many birdie holes to make up for bogeys on and a couple of mistakes in a row round here can really derail a player’s momentum. Quick greens are frightening for some at the best of times but putting for par after coming off a bogey on the last hole is an even more difficult prospect, especially around here, so saving pars at times can feel like a birdie – Garcia at 13 last year a clear example. Good play on the Par 4’s is essential as there are a whopping seven (!!) Par-4’s on the course that measure over 450 yards, so players approach play needs to be absolutely spot on. Par-5 Scoring is constantly an area focused on, largely down to the fact that Zach Johnson went -11 on the Par 5’s (11 birdies, 0 bogeys) in 2007, but finished the week on +1 overall to win the tournament. Taking advantage of the long holes where you can will obviously be advantageous but with three of last five winners ranking 17th or worse (35.3 avg) in that department it’s fair to say it doesn’t seem as important as how you fare on the Par 4’s. All in all, it looks like the players need to play the Par 4’s better than anyone else, hit a lot of greens and make sure you avoid bogeys as much as possible. Easy. Another factor that has been flagged as important in recent years is having a sub-70 round in your locker, on a previous start at Augusta. Until Spieth in 2015 and Willett a year later in 2016, no one had won at Augusta without a sub-70 round in the event on a previous start, since Tiger in 1997. The trend? All three of these players won on just their second start, so history suggests if you’ve played at Augusta more than once and still not broke 70, the odds are well and truly stacked against you. This trend would rule out one of the favourites, in the form of Justin Thomas so just be wary that it can eliminate some exceptional players at times. Another trend that is developing each year is based on current form. 5 of the last 10 winners here have won already won that season, including each of the last four, with those last four winning on one of their five most recent starts. Whilst I have umm’d and ahh’d over whether the 14/1 is big enough, I simply can’t get away from the fact that I think Justin Rose is the most likely winner of the 2018 Masters. With two 2nd’s and a 10th place finish in his last three starts here, Rose has done all but win the Green Jacket and probably should have won it last year. He has never missed a cut at Augusta and has finished inside the top-10 five times in 12 starts here, so he looks destined to win one in his career. Many will expect him to struggle overcoming the dissapointment of last year, but given his excellent mental strength, I have no doubts he can pick himself up and have a chance for the third time in four years. That quote is clear evidence to me that he has the right attitude to put the disappointments behind him and get the job done this time around and given his current form, I certainly wouldn’t be against him. In 12 starts this season, Rose has 3 wins, four more top-5’s and another two top-10’s, meaning he’s finished outside the top-10 just three times this season. An incredible run, one that cannot be ignored and he’s done this all ahead of his first major of the year. He could not have asked for better preparation for this year’s Masters and he certainly deserves to be alongside the favourites. Rose came into the 2017 Masters winning just once in 2016 at the Olympic Games in Rio, but this time has three wins under his belt already on the season. With some recent winning experience fresh in the memory as well as some other top performances, you have to think Rose will be right in the mix on Sunday, in the quest for his first Green Jacket and the second major championship of his career. Rose clearly fits the bill here full stop but just from a statistical standpoint, Rose has dominated here at Augusta since 2012, as highlighted by this great nugget of information from Golf Channel’s, Justin Ray below. He may only be 14/1 this week but when we talk of the word “overdue”, nothing quite personifies it like Rose at Augusta. If I had to pick one player who will be wearing that coveted Green Jacket come Sunday, Rose would be that man. Mickelson is playing as well as most in World Golf over the last two months, finishing in the top-24 in his last five straight stroke-play events, including his win in Mexico. He was disappointing at the Match Play but bounced back with a decent showing in Houston last week, opening with a round of 68 and closing with 67, either side of rounds of 71-72. On Day One he was six-under through his first 9 holes, before struggling on the back-9 with 8 pars and a double at the Par-3 14th. The closing 67, which was bogey-free was incredibly promising and he will take great confidence into next week, in an event he loves. Another nice stat for you from Justin Ray, to suggest Mickelson is in fine shape to win this week. Phil Mickelson fires a bogey-free 67 in his last round before @TheMasters. It's the 2nd time his last competitive round before the Masters was a 67 or better. In 2006, he shot 65 Sunday of the BellSouth to win – he won the Masters the following week. Now the stat above is largely based on fate, but Mickelson has been playing well for the last couple of months now, and that win in Mexico will really of galvanised him to win another major title, especially a fourth Green Jacket. The creativity required to win round here at times is right up Phil’s alley and that is a large reason as to why he plays so well here, and that creativity has never left him. Despite not winning here since 2010, Mickelson has had two top-3 finishes since, most recently when T2 in 2015 so there is still plenty left in the tank for Lefty. He would become the first 40-something to win here since Mark O’Meara (41) won in 1998, and he would also break Jack Nicklaus’ long-standing record as the oldest Masters winner (46 Years, 82 Days old), but Mickelson is certainly the sort of player to take these records on. Mickelson has been rolling back the years this season, playing some of the best golf of his career, as he looks to put to bed any suggestions of him being too old. Untill there is another dip in form there’s no reason to think he can’t win again this year, and he has as much chance of doing here than any other event, in my opinion. He is 20/1 because of the pure strength of the top of the market this week, but that’s big enough for me, considering his record here and wonderful current form. Hideki Matsuyama has been incredibly solid at Augusta over the last three years, finishing 5th, 7th and most recently 11th and he can go even better this week. After withdrawing from the Phoenix Open earlier this year with a wrist injury, Matsuyama made a return at Bay Hill, but could only finish T49. A week later he played in the Match Play, shooting -7 thru 17 holes on the first day when beating countryman Yusaku Miyazato 2&1. Matsuyama didn’t make it out of his group at the Match Play losing to Cameron Smith and Patrick Cantlay, but the early signs that week were promising. Clearly he hasn’t been in great form since returning from injury but he looks to be playing pain-free and if that is the case, it is only a matter of time before the World No.6 returns to his brilliant best. Hopefully now he’s got those two events under his belt, any rust has been shaken off and he can focus on putting together another strong week around Augusta National. Matsuyama is amongst the elite players in the game of golf and with two WGC victories already under his belt, the next natural step is a major championship. He has already finished T6 or better in each of the four majors, with a best finish of T2 at last year’s U.S. Open. Given his run of form in this event over the last three years, on top of his first impressive performance as an amateur (T27), he clearly looks to have an affinity with Augusta. Over the last three years here, Matsuyama has ranked 3rd (2017), 6th (2016) and 20th (2015) in Par 4 Performance and 6th (2017), 10th (2016) and 3rd (2015) in Bogey Avoidance. His best finish came in 2015, the same year he ranked his highest in Bogey Avoidance, but lowest in Par 4 Performance. He was still only +3 on the Par 4’s that year, it was just a low-scoring week, meaning his efforts on those holes was not good enough. To return last year and finish level-par on the Par 4’s was a good achievement and another sign he is still improving around this course. If he makes more birdies or better on the Par 5’s, Matsuyama can go closer than ever this year, despite the lack of form in recent weeks. Matsuyuama ranked just 24th in Par 5 Performance here in 2017 but was 6th and 8th in that category the previous two years, allowing him to finish 7th and 5th respectively and he will need a similar effort this week to contend. Whilst we have said that Par 4 Performance and Bogey Avoidance are the two keys to winning here, going lower than usual on the Par 5’s will clearly be a difference maker for Hideki this time around. It looks to only be a matter of time until Matsuyama become a major champion, finishing inside the top-7 in 4 of his last 8 majors and inside the top-14 in each of his last five. His price is clearly based on the fact he’s been inconsistent since his return from injury, because before that he finished T5, T4 and T12 to start the year and had actually opened the week with a round of 69 at the Phoenix Open to sit just three strokes off the lead, before withdrawing. I am confident he can put together a good week here once again, despite his lack of recent form, as I chalk that up as being a combination of lack of tournament play and playing conservatively to protect his wrist ahead of the year’s first major. I really like Henley’s chances of making a run at Augusta, but 100/1 about him with 10 places on offer looks particularly appealing, as you’re looking at 20/1 to finish inside the top-10 barring huge ties of course. He has played Augusta four times, missing the cut on debut in 2013 which looked to come a bit early, but in the last three starts he has improved every time. In 2014 Henley finished T31, with back-to-back rounds of 75 costing him any chance of contending, after opening rounds of 73-70 left him in a tie for 10th. He came back a year later and shot 68 in the opening round, leaving him in a tie for 7th after Day One. Rounds of 74-72-71 followed which were disappointing but still good enough for a T21 finish – a ten place improvement. Fast forward to 2017 and Henley improved by 10 places once again, finishing T11 after shooting a round in the 60’s (69) for the second time, this time in the final round. If he keeps up the same pace of improvement here, the Green Jacket is his and regardless of whether that looks likely or not, there is no denying his suitability with the course. Henley was defending his title at the Houston Open last week and whilst he was quiet on Friday and Saturday, Henley played well on Thursday (69) and Sunday (65) to finish a respectable T8, perfect preparation once again for this week. He will need to improve in keeping bogeys off his card, never ranking higher than 16th in that department in the three starts he’s made the weekend, but now making his fifth start at Augusta, he should have a better understanding of how to do just that. It is clear Henley is comfortable with this layout, breaking 70 on more than one occasion and he will be hoping for another big week in his home state. If he does find himself in with a chance on Sunday, he has winning experience to lean on, even if it has been in smaller events. Brendan Steele may not strike you as a Masters winner straight off the bat, but he does well in key areas and for that reason he looks a good outside bet this week. Last year Steele made just his second start at Augusta and his first since missing the cut in 2012. Steele managed to finish in a tie for 27th here 12 months ago, playing fairly solidly throughout. He was +6 for the first three rounds which may not constitute solid, but scoring was tough at times and his final round especially gave the ultimate glimmer of hope. Steele shot 69 on the Sunday, thus breaking the magic 70 number here and that would have given him a huge boost of confidence. It isn’t just a final round 69 that makes him an intriguing prospect though, it is how he ranked in two key areas last year, that was enough to catch my eye and suggest he can go well this week. At this event last season, Steele ranked 2nd in Bogey Avoidance and 5th in Par 4 Performance, it was just his lack of birdies which really let him down last time around. Going into the final round he only had three birdies the whole week, but matched that number thru the first three holes on Sunday. He finished his final round with seven birdies, but two double bogeys really cost him and he will hope to eliminate those mistakes this week. He was +2 on the Par 4’s last year, which is better than it sounds, as just four players finished up the week par or better on the Par 4’s, with Garcia and Rose the only two under-par (both -3). Another year of experience under his belt and a better performance on the Par 5’s this time could lead to an infinitely better performance and that will hopefully be the case. Steele finished the week just level-par on the long holes in 2017, which compared to Rose (-9) and Garcia (-7) was nowhere near good enough. Even Garcia and Rose were some way off the best in the field on the Par 5’s as Charl Schwartzel was 12-under-par. Steele has never finished inside the top-10 in a major which is an obvious negative, but he has been solid in recent years, at both the PGA Championship and U.S. Open, posting finishes of T12 (2015) and T13/T15 (2017/2016) in these events respectively. Add to that his T27 here last year and he looks to be an improving player in the majors. This season, Steele has a win, a 3rd and two more top-10’s and has also not missed the cut in eight stroke-play events this season. His last event was the WGC Match Play, where he made won two of this three matches in the Group Stage, the same record as group winner Tyrrell Hatton. The Englishman ultimately denied him a chance of advancing, in a sudden-death play-off but there were some good signs nonetheless. Given his current form and his solid ranking all-round statistically there is just plenty of value in backing what clearly looks to be an improving player. Steele ranks top-15 in both SG: Off-the-Tee (7th) and SG: Tee-to-Green (15th), as well as top-24 in; Greens in Regulation (7th), Birdie Average (9th), Par 4 Scoring Average (T10), Bogey Avoidance (T22) and Par 5 Scoring Average (24th). At 200/1 there is no real reason not to give Steele a go, especially as he fits the bill in all the trends and did a really good job of avoiding bogeys for most of the week here last year. Two double-bogeys on the last day cost him a shot at the top-10 but if he can keep the doubles off his card and make a much better run on the par-5’s and making birdies in general, I see no reason why he cannot throw his hat in the ring.